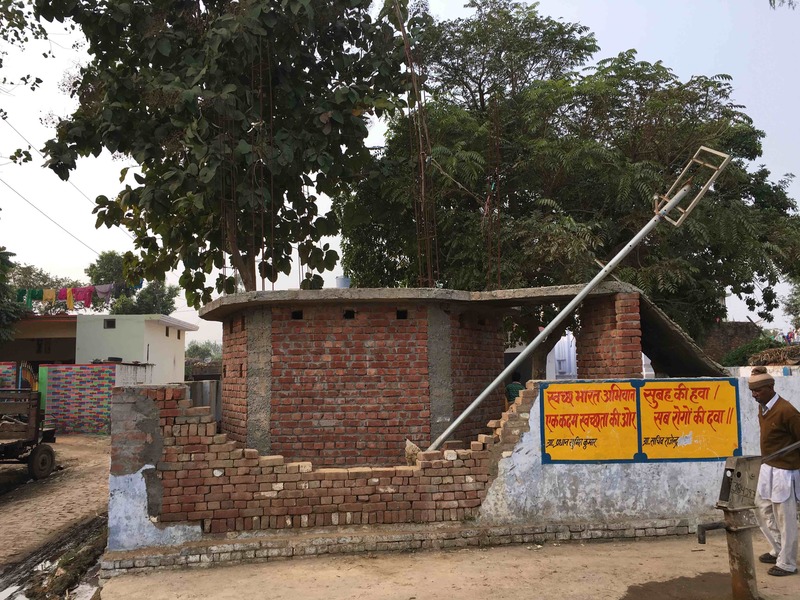 Dalit villagers in Shabbirpur are still hoping that the members of their community – as well as Bhim Army leader Chandrasekhar – charged under the NSA will be released. Saharanpur, UP: On November 7, 13 Dalit women from Shabbirpur – a small village in Saharanpur which saw large-scale caste-related violence in May this year – began a hunger strike. They were demanding the revocation of the National Security Act (NSA) which had recently been applied against two Dalits from the village and against Chandrashekhar, the founder of the Bhim Army. “We also want all false cases that have been filed against Dalits to be revoked and those who are responsible for the violence of May 5 to be punished,” said Shakuntala Devi, one of the protesting women. The hunger strike was withdrawn on November 14 after the senior superintendent of police (SSP) of Saharanpur, Babloo Kumar, met with the women. “He assured us that our demands will be met and the NSA will be revoked,” said Shakuntala Devi. However, Kumar told me that no assurance has been given regarding the revocation of the NSA. “The NSA is a matter of procedure now. The laid down procedure will have to be followed. I told the women that some of their demands, like compensation, will be considered,” he said. The women in Shabbirpur did not take kindly to Kumar’s statement. “Kaise nahi hogi maang puri? Hum aurten agar chahen to acche-acchon ki kursi hila den. Hum insaf leke rahenge kisi bhi keemat par (How will our demand not be met? If we women want, we can challenge the might of any powerful chair. We will ensure that we get justice at any cost),” said Simpla Devi, who suffered a fractured wrist in the May 5 violence and had her home severely damaged. On the morning of May 5, the dominant Thakur community of Shabbirpur – a village with a population of about 3,000 – took out a procession commemorating Maharana Pratap. The Dalit community, who form a sizeable 30% of the population in the village, objected to the loud DJ that accompanied the procession. The procession passed, but returned minutes later, larger in number and armed with swords, thick bamboo sticks, country-made revolvers and bottles filled with petrol. 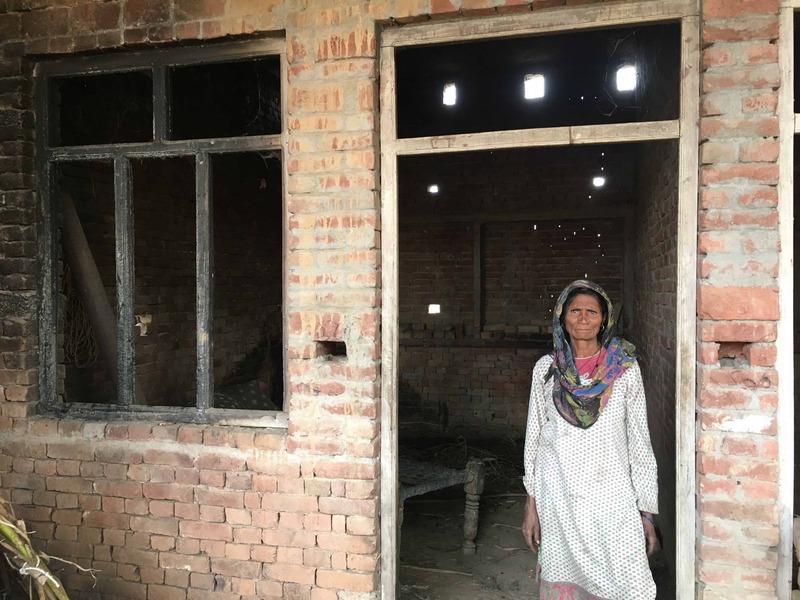 In the violence that followed, 55 Dalit houses were set on fire by the mob and several Dalits, including women and children, were grievously injured. One member of the Thakur community died. The cause of his death remains a matter of investigation. Eighty-nine Thakurs and 61 Dalits were named in FIRs for rioting. Five Dalits, including the sarpanch of the village, were also booked for the murder of the one person who died. 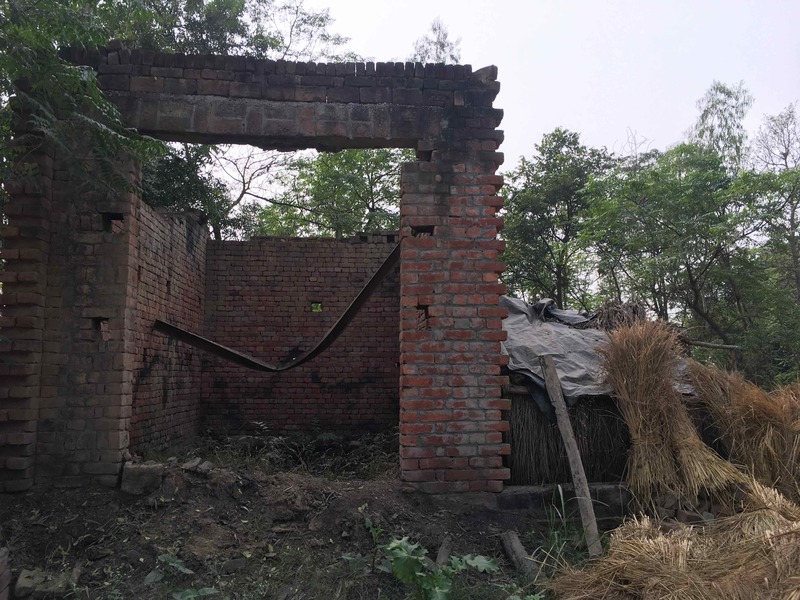 A few days after the violence that ravaged the Dalit part of the village, on May 9, the Bhim Army – a relatively unknown Dalit social organisation at the time – called for a mahapanchayat in Saharanpur to protest against the violence in Shabbirpur. The police denied them permission, but several young members of the community gathered and clashed with the police. Some vehicles were set ablaze, stones were pelted and a police post was damaged. Cases were registered against almost every known member of the Bhim Army, and they rose to national prominence while in hiding. Its founder, Chandrashekhar, a lawyer from the village of Chhutmalpur, gained the status of a young Dalit icon, and the Bhim Army became a symbol of Dalit assertion. In June, Chandrashekhar was arrested along with several other members of the Bhim Army. The five Dalits from Shabbirpur charged with murder had already been arrested earlier. On October 15, two of the five charged with murder were booked under the draconian NSA. A couple weeks later, on November 3, Chandrashekhar too was booked under the NSA. The NSA allows the state government to detain any person it feels poses a ‘threat to the security of India’ or could ‘disrupt public order’ for a period extending up to two years. After the initial order is made, an advisory board – formed by the state government itself – can review the detention. The accused is not even allowed representation by a lawyer. The violence of May 5 and subsequent events have left Shabbirpur deeply wounded and divided. The wounds are yet to heal, and the divisions are growing deeper. A narrow road with fields on either side leads to the small village of about 500 households. At the entrance of the village is the Ravidas temple, around which the Dalit families live in their small and mostly mud-and-brick houses. The signs of damage are difficult to miss. Parts of the wall of the Ravidas temple lie broken and most houses show various levels of damage. Seventy-year-old Ishwar Chiman was in his home on the fateful morning of May 5. “I heard thousands of people chanting slogans praising Maharana Pratap. Suddenly, around 20 men entered my home. They swung their swords wildly. I somehow managed to escape. Then they set my house on fire,” Chiman told me as he showed me his house. The walls carry burn marks and the roof, which was gutted in the fire, has only been repaired with make-shift tin sheets with big gaping holes in them. “I still have to get it fixed, but don’t have enough money,” he said. That day, the mob came at around 11 am and most of the men from the village were working in their fields; only the women and the elderly were at home. Simpla Devi (60) was in her two-room brick-and-mud house when the mob reached. “My sons and grandsons were all working in the fields. The mob threw me on the road and starting beating me with bamboo sticks,” she said. The mob then proceeded to set fire to her house. According to most accounts, they were attempting to burn down all Dalit houses in their way as they went around the village. Simpla Devi was lying on the road writhing with pain as she saw the roof of her house catch fire. “They had broken my right hand. But I knew that if I don’t douse the fire on the roof, the entire thing will collapse. So I poured buckets of water on the roof to stop the fire with one hand broken,” she said. Even now, six months later, her right hand appears swollen. I asked Simpla Devi if I could see the house from the inside. “Bacha hi kya hai is mein (But what is left in this)?” she asked in return. The two rooms of her house, side by side, have broken windows, no doors, a tin roof and carry burn marks all over the unpainted brick walls. There are two string cots lying around next to piles of dried cow dung cakes, a haystack and iron rods. “They destroyed everything I owned,” Simpla Devi said as she burst into tears. Like Chiman, she too says she doesn’t have the finances to fix what was destroyed. I visited 30 of the 55 houses which had been damaged in the arson, and all of them lie in various levels of disrepair. Everyone in the Dalit part of Shabbirpur has horror stories to tell about the morning of May 5. The already-fractious relationship between the two major communities in the village – the Dalits and the Thakurs – has all but broken down after the violence. Many landless Dalits who used to work on the fields of Thakurs as daily-wage labourers no longer do so. “Some of us have been told by the Thakurs that we should no longer work on their fields after the incidents of May 5. We also feel that after what happened, we should not work for those who destroyed our lives,” said Manoj Kumar, a resident of the village. There is also a sense of fear that prevails among the Dalit population and many children have stopped going to school, which is about five km away. “Many children, and almost all girls, have stopped going to school due to the threat posed by the Thakurs,” said Sudesh Kumar (52). But the Dalit community in the village has stuck together and is determined in their demand for justice. Sitting in an open space inside the Ravidas temple, a group of 35-40 of them were discussing the future course of action in their struggle for justice. “For the last six months, we have been demanding that those who are responsible for the violence of May 5 should be punished as per the law,” one of them told me. “But they have filed cases against us only. Jinke ghar jale, unko hi jail mein bhi dal diya (Those whose houses were burnt are the ones who have been put behind bars),” another woman from the group added. “If justice is not done, we will have to sit on an indefinite hunger strike. We are prepared for that. We are prepared to fight against the might of any kind of power,” she said. The women make it amply clear that their demand for justice is not only for the revocation of the NSA or the withdrawal of what they call ‘false’ cases against the Dalits of Shabbirpur and members of the Bhim Army, but they also demand that punishment be meted out to those who are responsible for the violence on May 5. However, little progress has been made by the police in prosecuting the Thakurs involved in the Shabbirpur violence. “A few of them were arrested earlier, but released soon after,” said Suresh Gautam, a lawyer from Saharanpur who is providing legal aid to the Dalits. “We are collecting evidence and will be prosecuting everyone involved in the violence. As it was a mob of hundreds of people, it becomes a little difficult to pin point who the people were,” said Muninder Singh, station house officer of Badgaon police station, which Shabbirpur falls under. Caste tensions have been simmering in the village for some time due to an ongoing dispute over the proposed installation of a B.R. 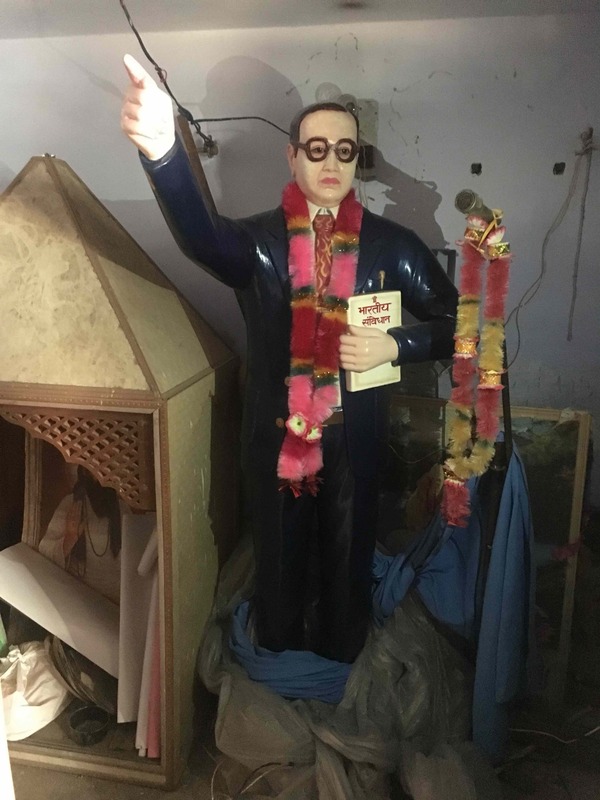 Ambedkar statue. The Dalits wished to install the statue in the Ravidas temple, which is located at the entrance to the village. The Thakurs had objected to this and the Dalits had to put their plans on hold. Another flashpoint was the recent election of Shiv Kumar, a Dalit, as the sarpanch of the village. Although the village has elected a Dalit sarpanch in the past, this was the first time that a Dalit had won with the seat being unreserved. As I made my way to the Thakur part of the village, there was a palpable difference. The dilapidated brick-and-mud houses gave way to larger double-storied cemented houses. Sitting under a large tree in his aangan was Bharat Singh, who has been sarpanch of the village in the past. He believes that the violence of May 5 was perpetrated by people from another village. “They came from outside. There were no Thakurs from our village who were involved. These people (the Dalits) should also have been more careful when there was a procession going through the village,” he said. His nephew, Jitender Singh, joined in the conversation, “These people burnt their houses on their own. They even destroyed their belongings on their own. They just wanted to create a tamasha and demand compensation,” said Jitender. As I walked further into the Thakur part of Shabbirpur, I met a group of youngsters and spoke to them about their relationship with the Dalits of the village. Sooraj Singh (21) had a few friends who were Dalits in his school days but not anymore. “Yaari-dosti theek hai lekin ek waqt aata hai jab aapko apni biradri ke sath khada hona hota hai (Friendship is okay, but there comes a time when one must stand with their community),” he said. 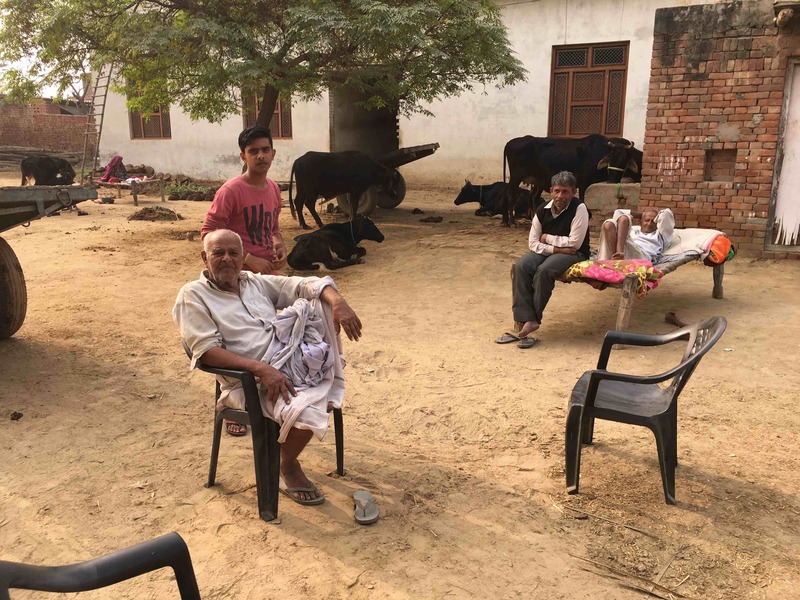 “Gaon mein jiski jo jagah hain usko wahan hi rehna chahiye (There is certain place for everyone in the village and that is where they should stay),” said Omvir Singh (19). “By trying to stop the procession of Maharana Pratap that day, they made a big mistake and it is only right that they have been booked under the NSA,” added Omvir. The BJP government in Uttar Pradesh has come in for criticism from the major opposition parties in the region, the Samajwadi Party (SP) and the Bahujan Samaj Party (BSP), for the invocation of the NSA. “The Dalits in Saharanpur tried to assert themselves and stood up for their rights, and the upper-caste government in the state could not see that happen. That is why they invoked the NSA,” Sudhir Panwar, a senior SP leader from western UP, told The Wire. Majid Ali, who was the BSP’s candidate in the 2017 assembly elections from Deoband, the Vidhan Sabha seat that Shabbirpur is a part of, feels that there is no reason for the NSA to be applied. “There is no case whatsoever against these people from Shabbirpur and neither is there anything against Chandrashekhar. And why was the NSA not applied in May? Why was it applied only when Chandrashekhar got bail? It is clear that the BJP government is targeting them because they are Dalits,” said Ali. Brijesh Singh, BJP MLA from Deoband, feels that the NSA was applied fairly. “Why should they not be charged? The two people from Shabbirpur were the masterminds of the entire incident. There was stone pelting from the Dalit side of the village when the procession was going through the village. My boys (the Thakurs) were going very peacefully, it is the Dalits who disturbed peace. Chandrashekhar is responsible for violence in the entire town on May 9. Buses were burnt, police stations were targeted. These are serious crimes. It was absolutely essential to apply the NSA to maintain law and order,” he said. In the evening, as I was preparing to leave Shabbirpur, I saw around 80-90 children seated in the open space of the Ravidas temple, being taught on portable blackboards by young teachers. As I walked in, I was greeted loudly with the customary greeting, ‘Jai Bheem’, by almost each student. The Jai Bheem Pathshala was set up in July by a group of youngsters from the village who pooled in money to buy essentials for the evening school. “After the violence of May, a lot of students could not go to school and they were lagging behind anyway. So we decided that something needs to be done and we set up this school. A group of us got together and decided to pool in some money and contribute time to the school,” said Aruna (who wishes to be identified by her first name), the de facto principal of the school. Students of classes 1 to 10 are taught in different batches at the Jai Bheem Pathshala in the evening by a group of young Dalits from Shabbirpur, and members of all communities are welcome in the school. “This school is for everyone. We will never stop members of the other community from coming to the school. But they don’t come,” Aruna said. Aruna, who holds a master’s degree in education, believes that education is a necessary tool to prevent injustice. “A lot of injustice against our community has happened because we have not been educated. Therefore, it is essential that our next generation is educated and can stand up against injustice. This is what Babasaheb (Ambedkar) wanted and we are trying to contribute in that direction,” she said.